Savvy employers know that military veterans provide a rich talent pool of high-quality candidates. They understand that military job seekers possess skills, attitudes, and abilities beyond those of most people who have not served. However, as veteran unemployment drops to one of the lowest levels in years, the competition to attract and retain veteran talent is heating up. 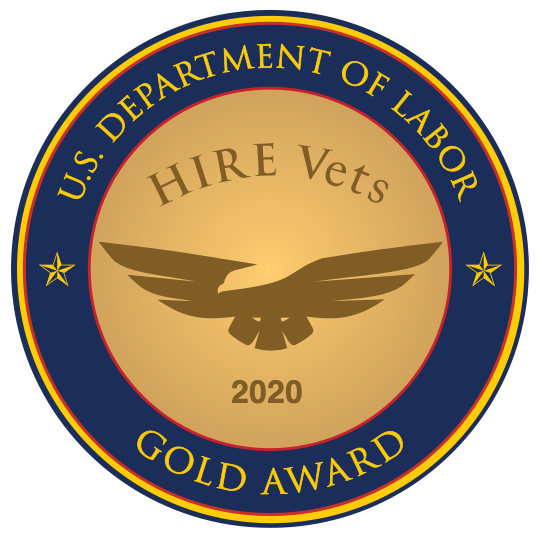 To compete effectively, employers need to ramp up their veteran hiring strategies and outreach to communicate clearly to veterans why their job opportunities are worthy of consideration. Even more important, employers need to understand what most veterans are looking for in their civilian careers. Their eagerness, focus, and dedication to finding leadership and commitment to mission. Due to their military experience, veterans tend to focus on certain special sets of needs. Successful hiring managers and recruiters will pay careful attention to these needs as they craft their veteran hiring and retention strategies. One way to conceptualize and easily remember this universe of needs is to focus on The Four Ms: Mission, Momentum, Money, and Mentorship. Employers that consistently deliver on these four items will find success in assembling teams derived from the pool of America's finest talent. It should come as no surprise that veteran job seekers would find immense satisfaction in joining an organization whose mission resonates with their personal values and aspirations. While some join the military for college money, adventure, or specific experiences, virtually all enlist with an inspiration that stems from some level of idealism. So, it follows that an organization that can make an authentic connection between its daily activities and a noble mission or higher purpose will attract and retain veteran talent. Companies that communicate with honesty and integrity in the execution of a worthy purpose will rise above all others. After years in uniform, no veteran wants to step backward in his or her next job. Too often, veterans fear that they have to enter the civilian world a number of notches below their current stations. Sometimes this is just a matter of perception. But, more often, it’s a result of the rigidity of the employers' career-progression ladders. Effective employers make sure their hiring practices assign due credit for military experience -- even when the nature of the military work is not precisely that of the new role. For example, too often companies insist that a candidate have a bachelor's degree -- when what they really mean is they’re looking for someone who finishes what they start and can communicate well. Military experience helps to generate these attributes. In the armed forces, people finish what they start because they must, and good communication skills are essential when lives are at stake in urgent situations. All employees desire and deserve to be paid fairly for their contributions and labor. The challenge with veterans comes from their lack of understanding of their true market value. In fact, the very notion of market value can seem strange to transitioning veterans who come from a world of fixed "time and grade" pay scales that place importance on seniority and rank above demonstrated competence and reliability. Education and transparency are the keys to making sense of civilian compensation arrangements for veterans, who need help to understand the relationships among contribution, value, and pay and benefits. Employers who effectively lift the veil of secrecy regarding compensation will find that veterans appreciate the direction and clarity in an area that might otherwise baffle them. While civilians speak of management and sometimes avoid the term "leadership," military members spend much of their service time in the study and practice of leadership. Most adhere to a simple but aspirational definition of leadership -- to accomplish the assigned mission and take care of their people. This dedication to the needs of team members can sometimes be lacking in a civilian environment solely dedicated to profit or other arbitrary operating metrics -- and that environment can seem coldly devoid of human purpose or connection to a veteran. The ideal and expectation of military leadership is, admittedly, high. And while some commissioned and non-commissioned officers do not live up to these expectations on duty, many veterans expect some level of genuine leadership in their next civilian job. Competitive employers will take leadership development seriously and dedicate resources to cultural development. For years, corporate recruiters have been predicting a coming "War for Talent," and now it seems to be here. Suddenly, employers are being called upon to sharpen their game if they wish to win. Since veteran talent is such a key component to an enlightened talent-acquisition strategy, any serious veteran hiring effort should pay careful and consistent attention to the "Four Ms" in order to attract, hire, and retain veteran talent.